'Tis the season! Our holiday gift guides are here so stop by and pick up the perfect gift for everyone on your list! 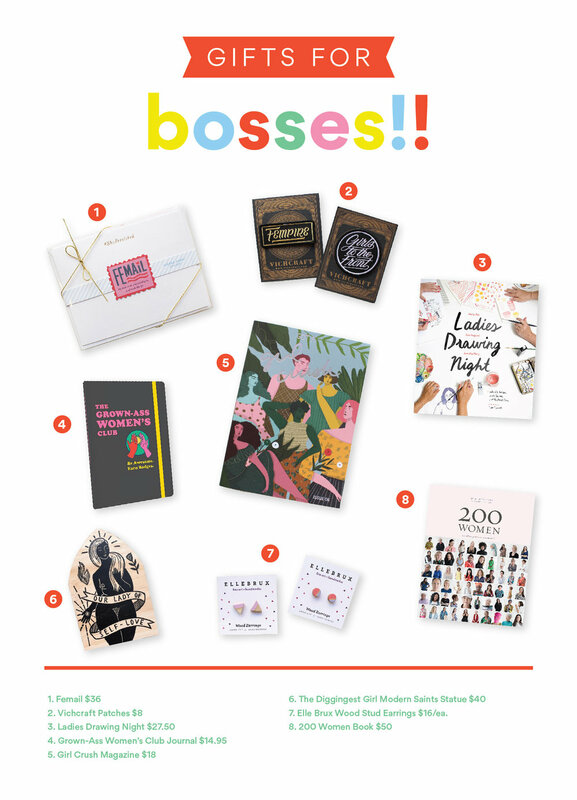 We've got the perfect gift for girl bosses! Great for gal pals, moms, sisters, best friends, teachers, your awesome co-worker—basically any of the strong women in your life! We're proud of Cincinnati/Northern Kentucky roots! If you're a native like us then you'll have a real appreciation for our hand picked gifts for locals. And yes, of course some of them are chili themed! Bookworm unite! If you have a friend....or family member....or even yourself that enjoys nights curling up with a good book we got great gifts that add a little extra cute to your cozy nights! We understand that our pets are our very best friends! While we may not have gifts for your pets we have so many cute things for all the animal lovers out there. We value the time and love and dedication it takes to raise a healthy and strong plant baby! We have some very thoughtful gifts for the plant parents in your life! Remember to stop by on Small Business Saturday—November 25—for fun deals on all of these hand picked products! And there are many more in the shop! !